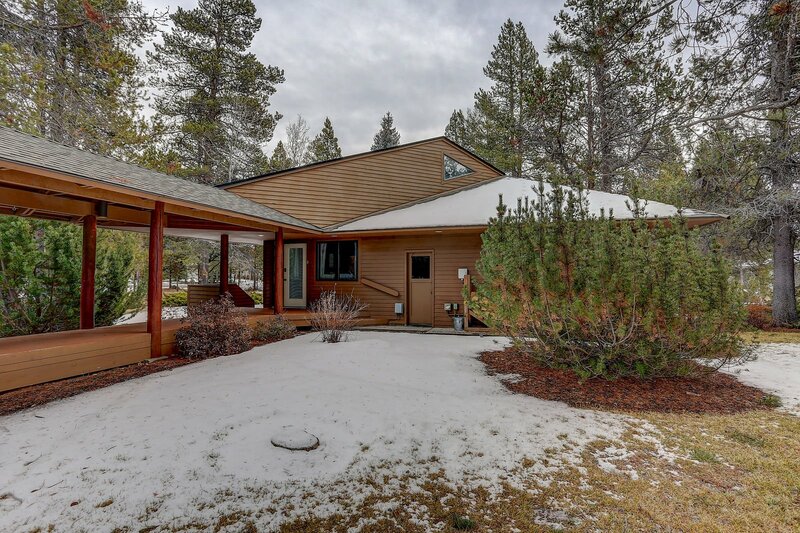 Some of our favorite mountain and golf course views in Sunriver, Oregon rentals, 11 Hickory Lane, sits primely located on the Woodlands Golf Course with Mt Bachelor views. 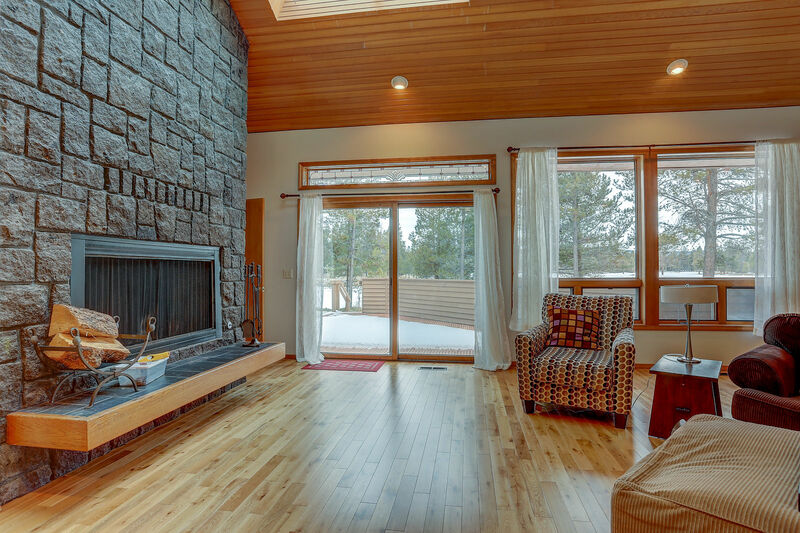 Wood burning fireplace for the winter and A/C (main house only) for the summer, will keep you comfortable in any season. 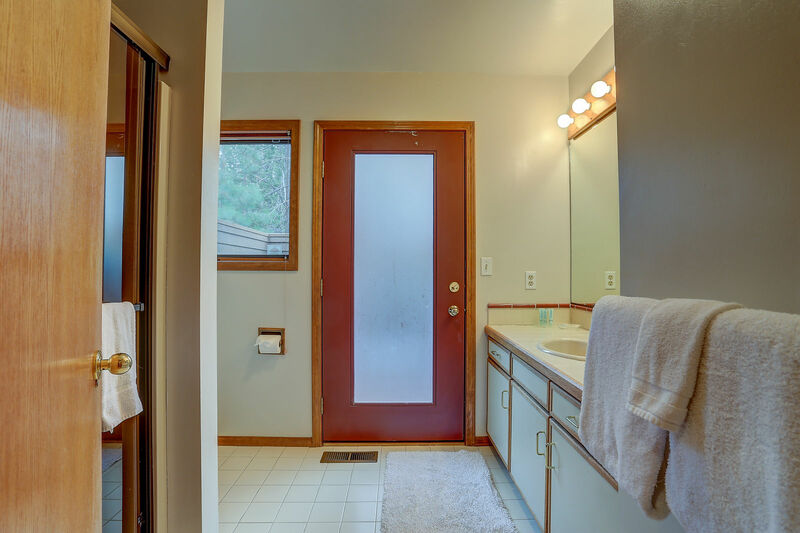 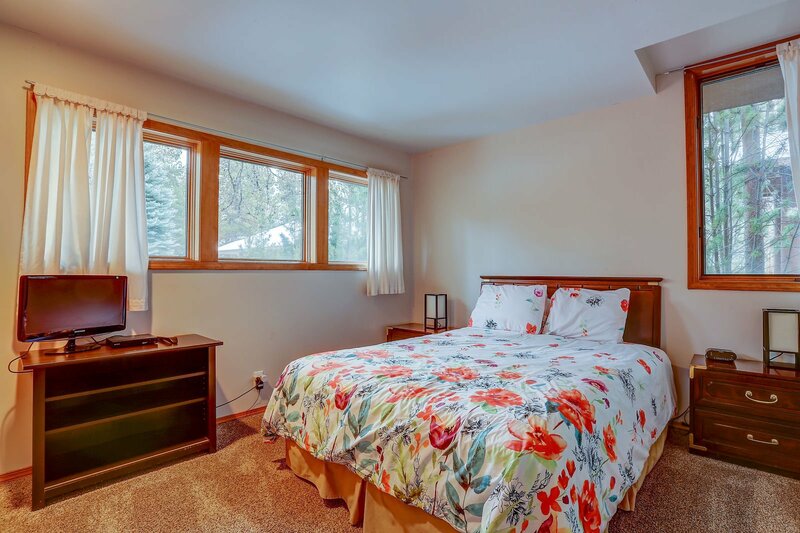 This home has also recently had a makeover, with new hardwood floors, new carpet in the bedrooms, and fresh paint throughout! 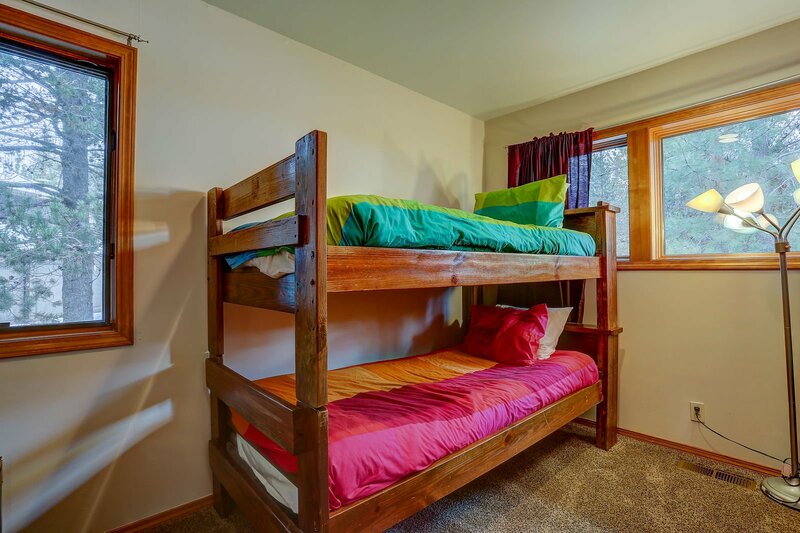 There is room for everyone to enjoy each other and then separate at 11 Hickory. 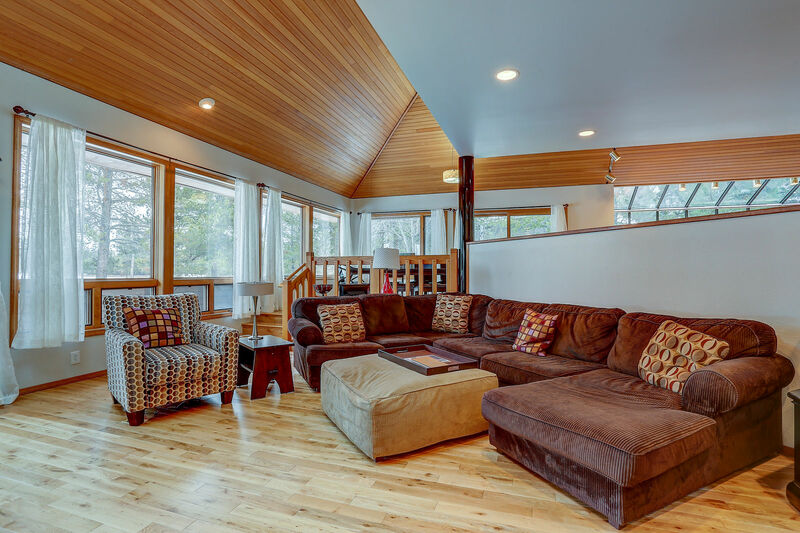 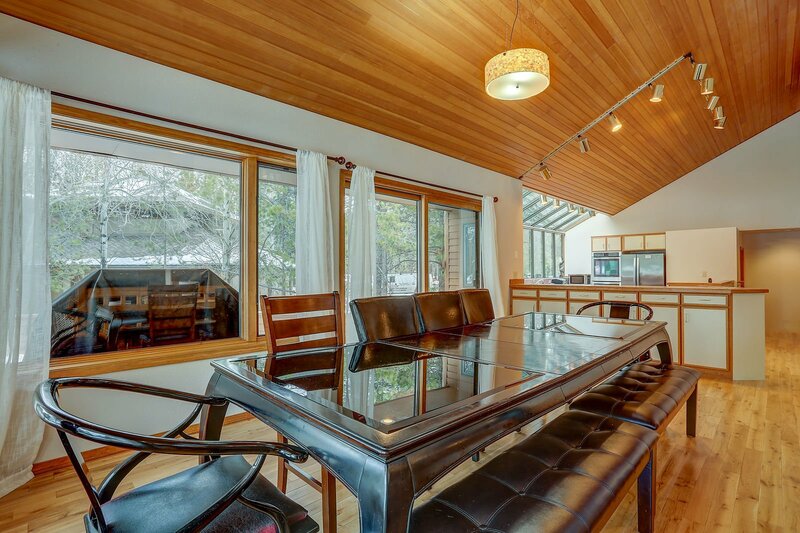 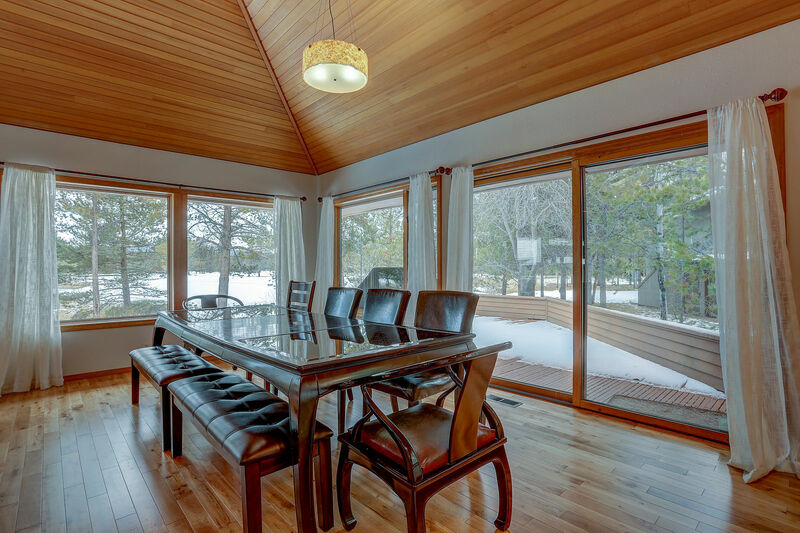 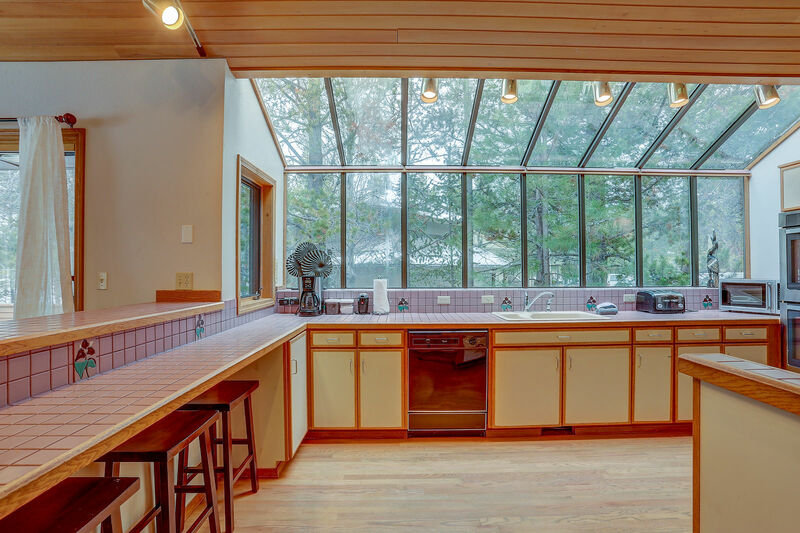 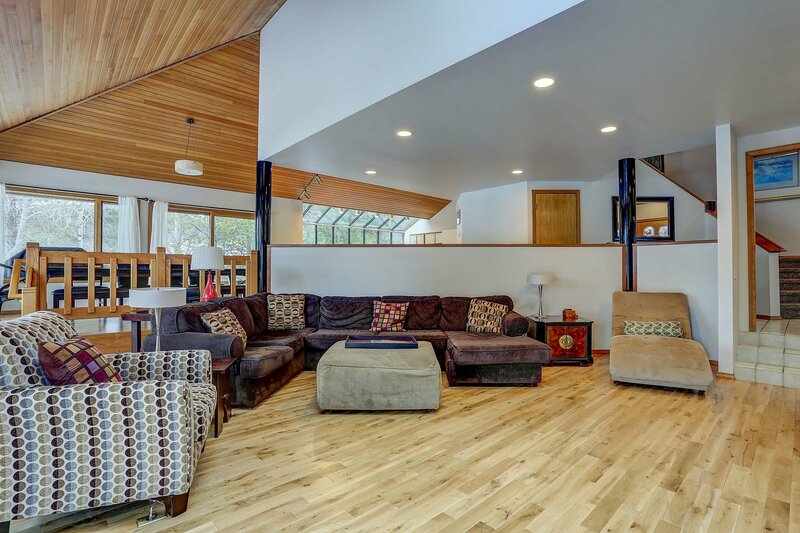 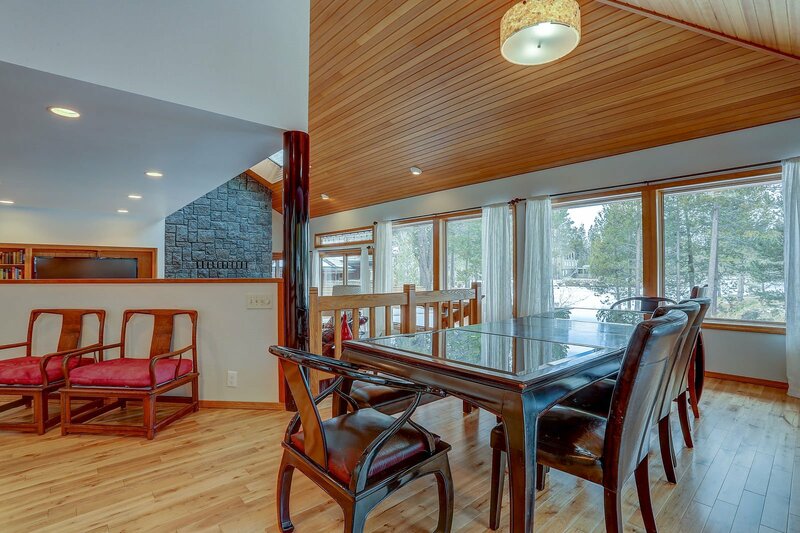 The living area is open to the dining and kitchen and all has huge windows and doors that open onto expansive decks that showcase the golf course, pond and mountains beyond. 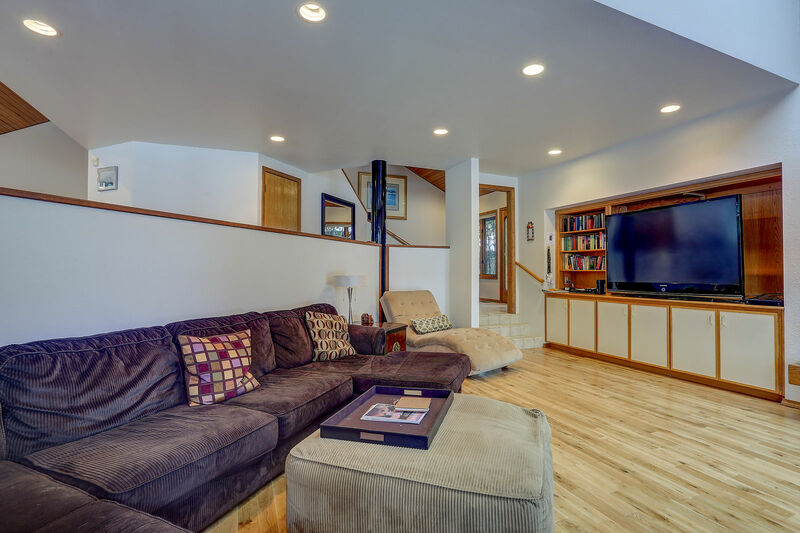 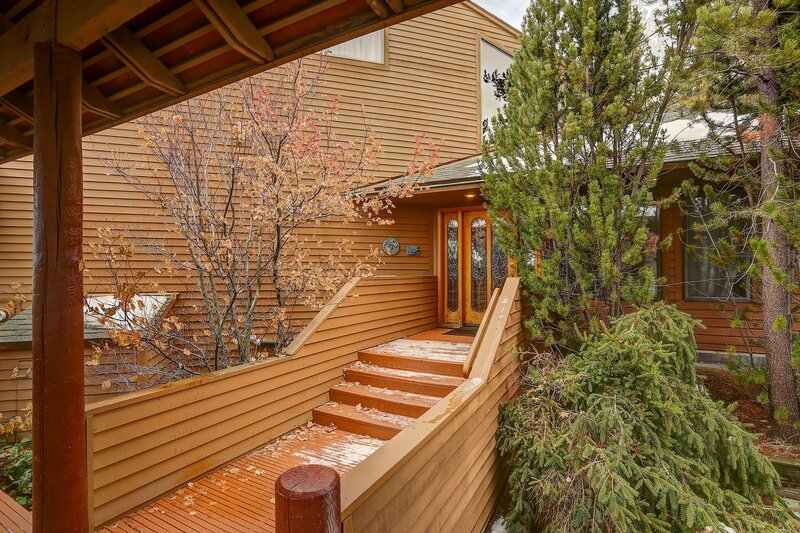 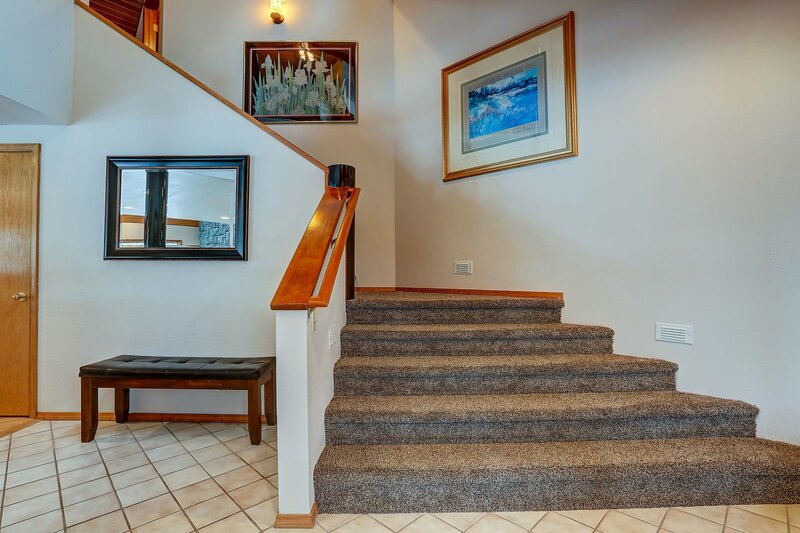 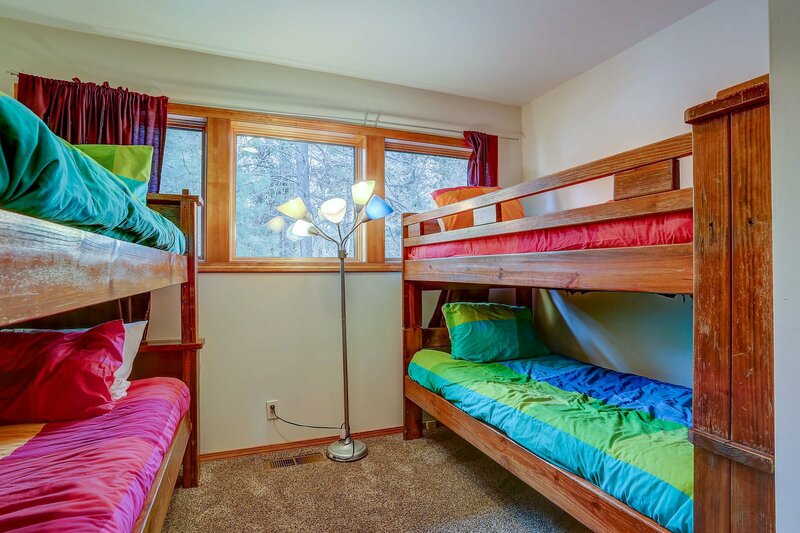 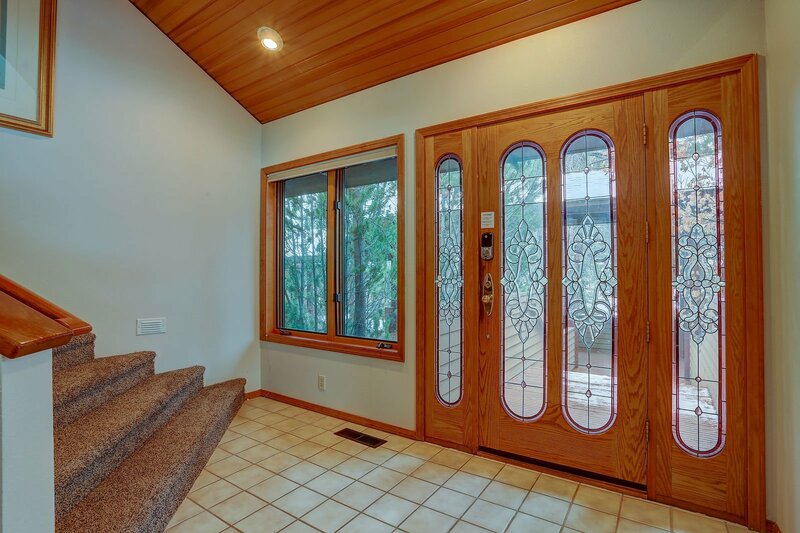 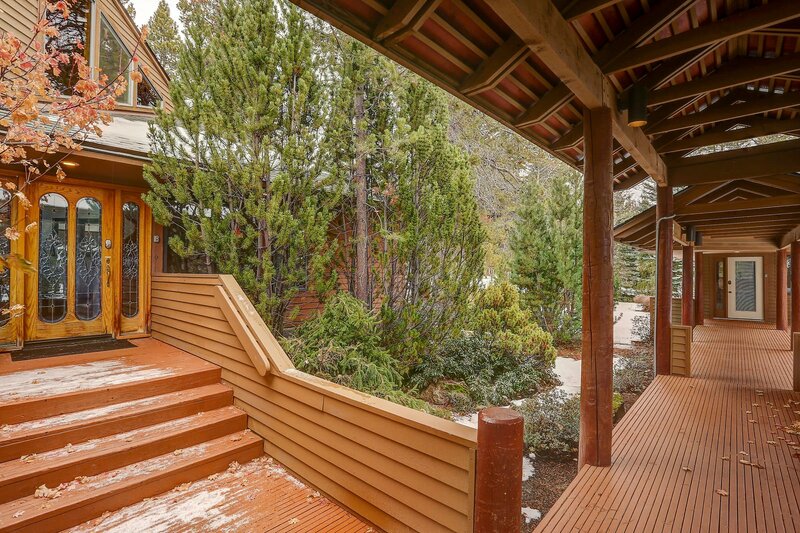 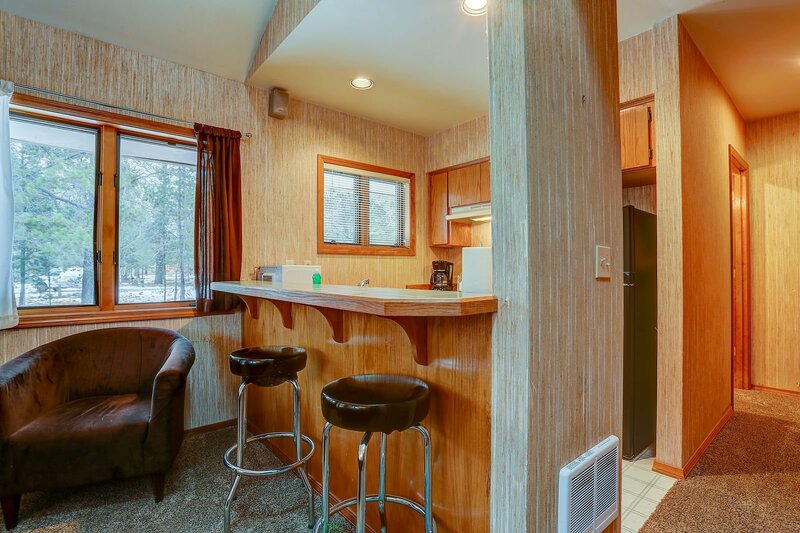 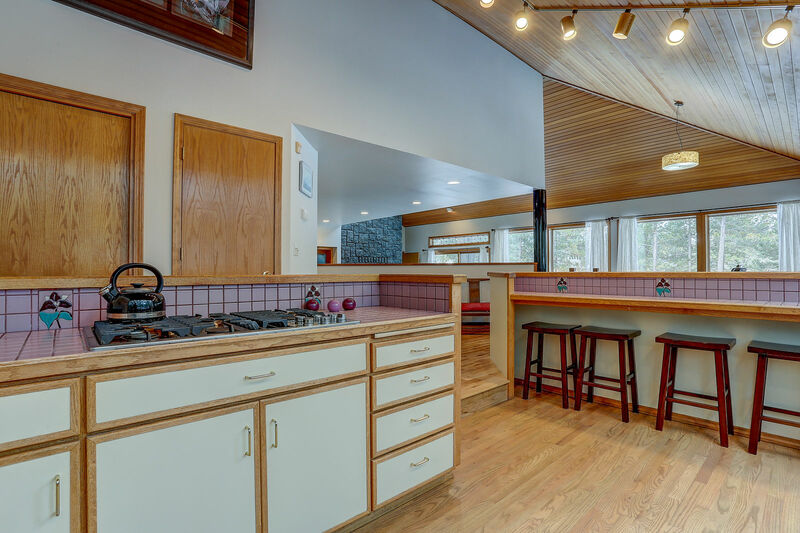 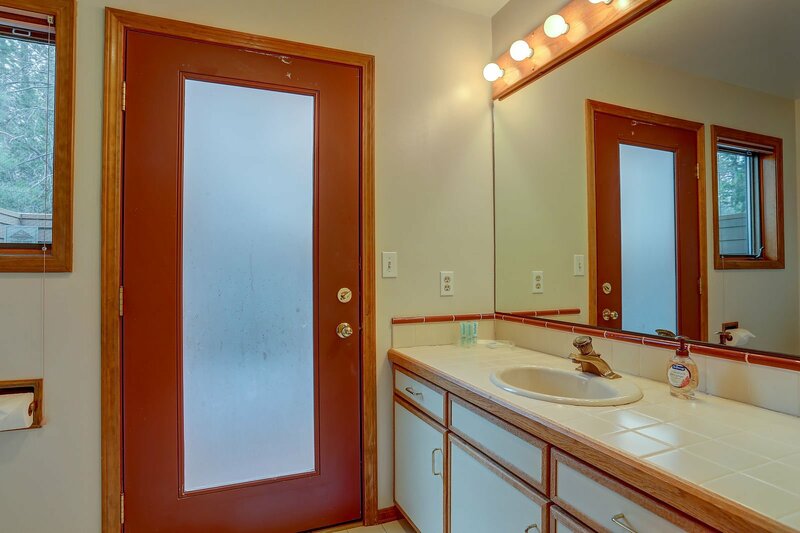 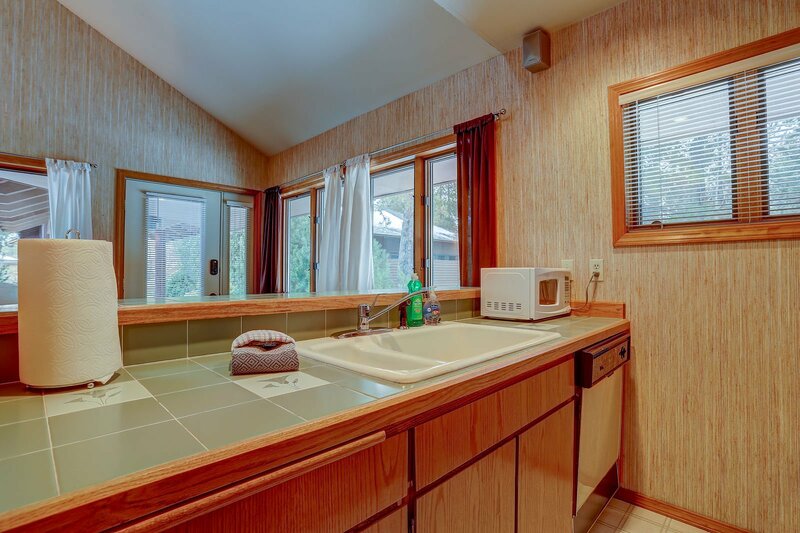 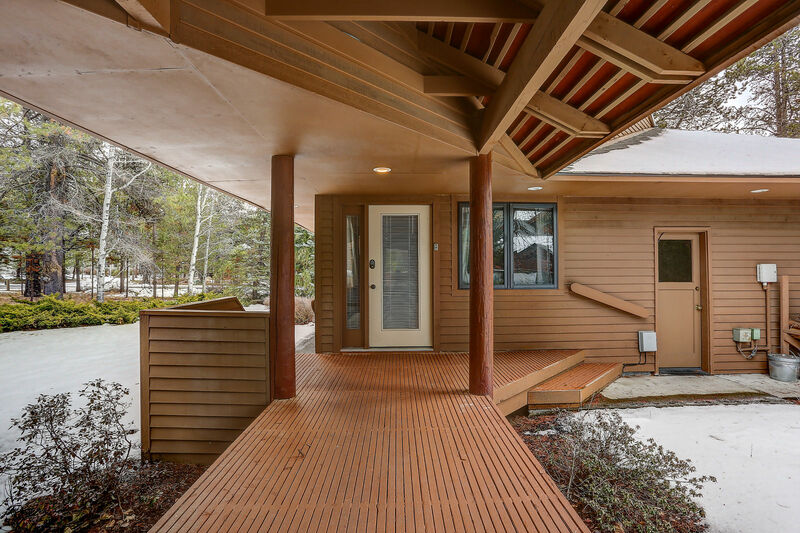 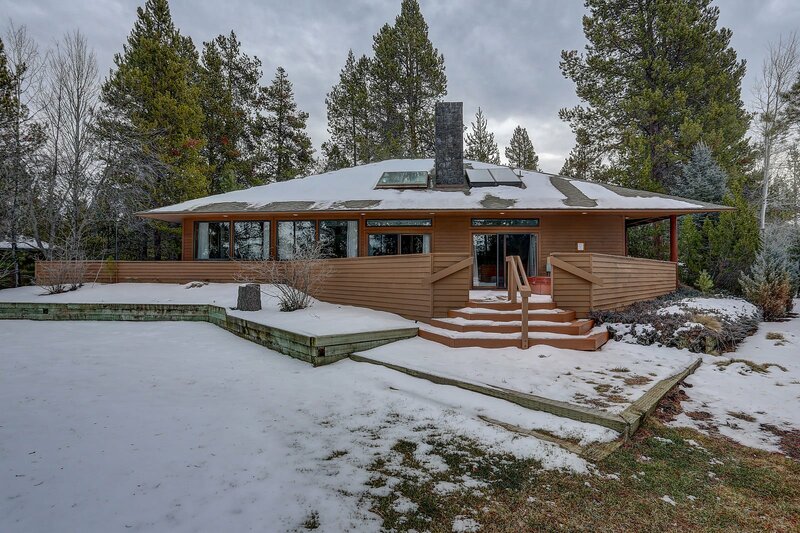 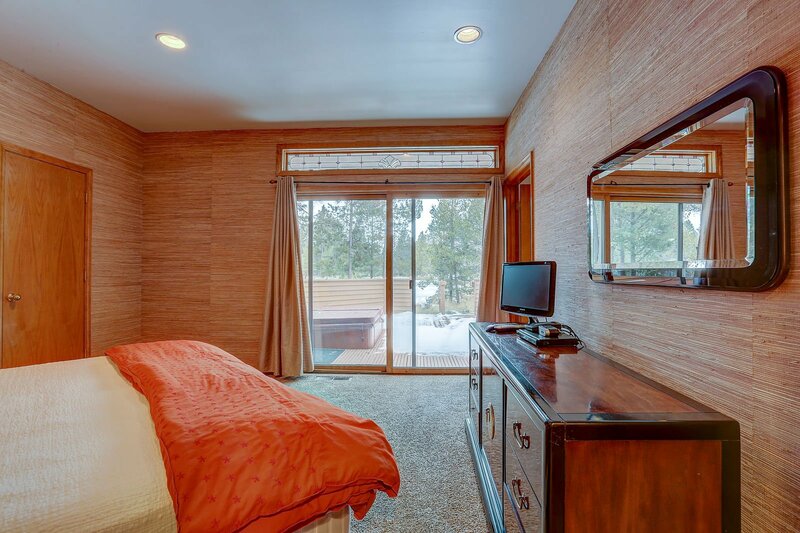 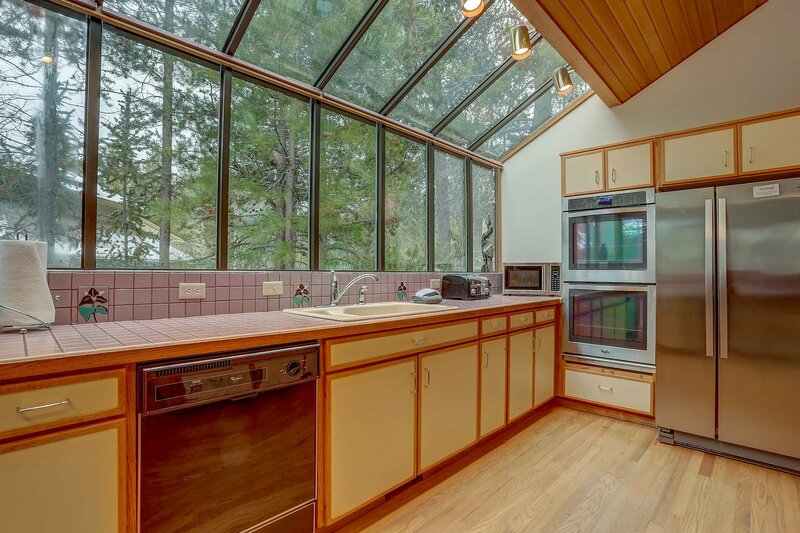 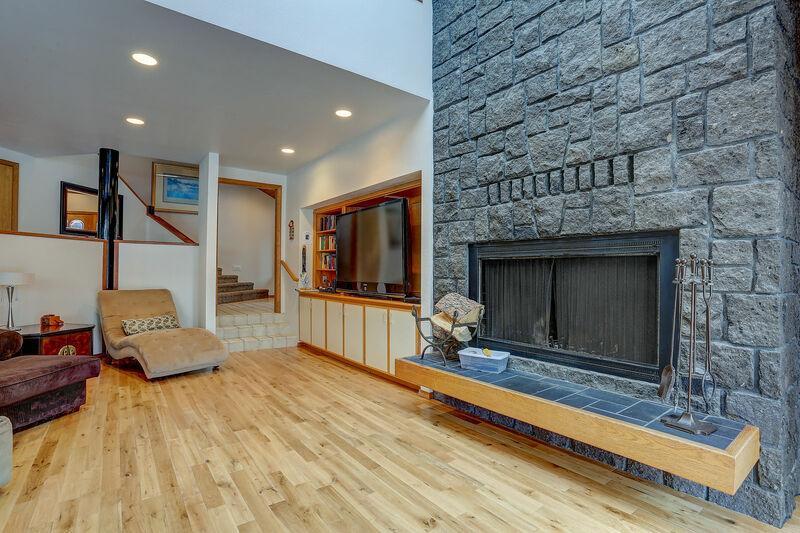 11 Hickory Lane is located in the heart of Sunriver, just a short distance from Fort Rock Park. 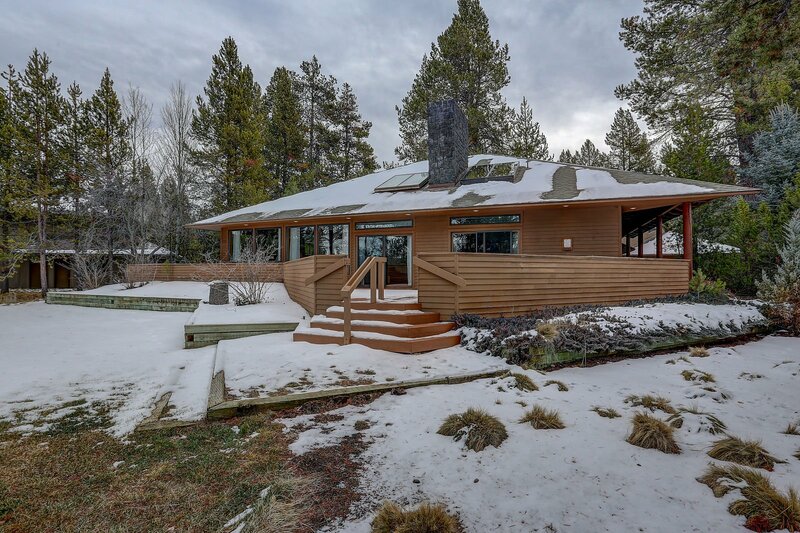 It is a beautiful walk or bike ride to the river, the trail north to Benham Falls and the Deschutes River and along any of the Sunriver bike trails. 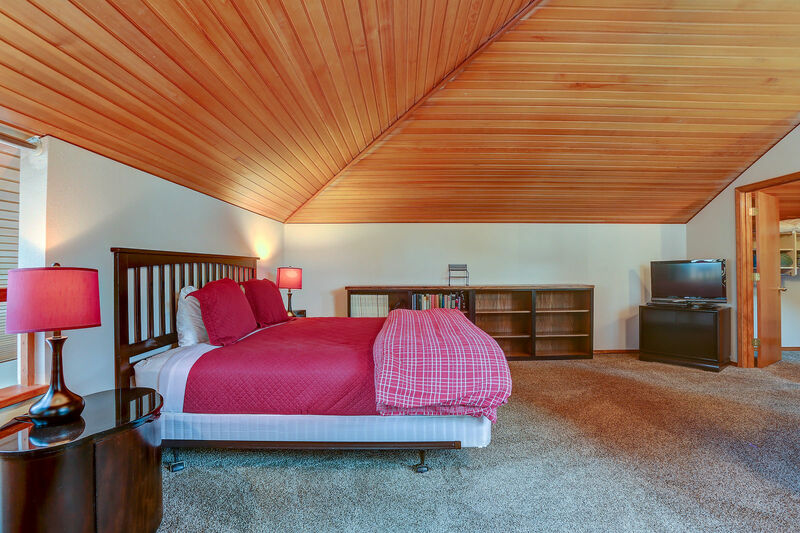 The home is 2-story with the kitchen, dining area, living room, and 3 bedrooms (King Master, Queen Bedroom and Bunk Bedroom) all downstairs. 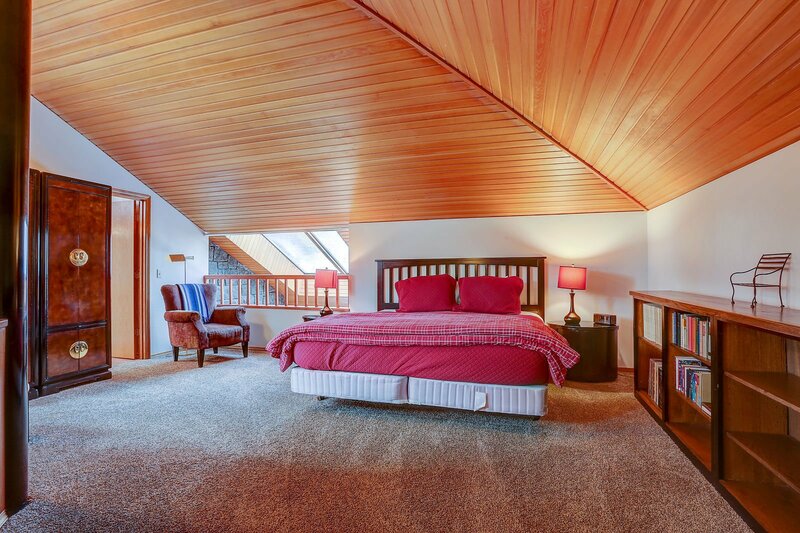 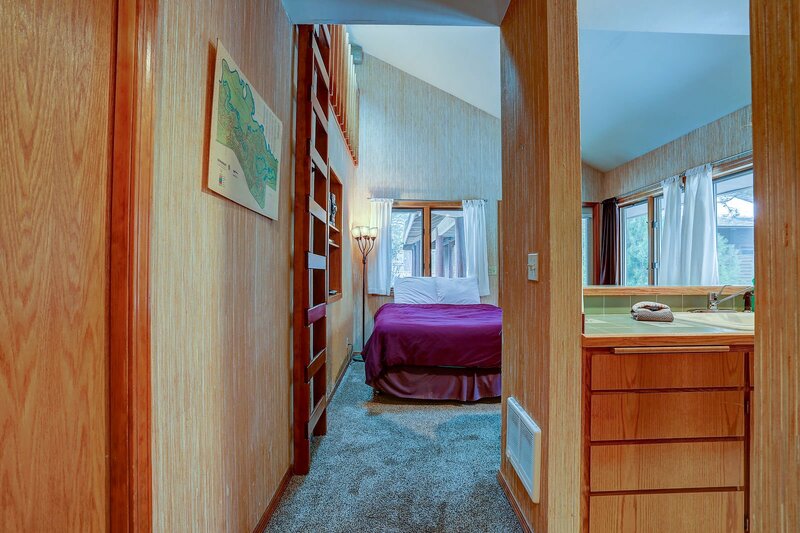 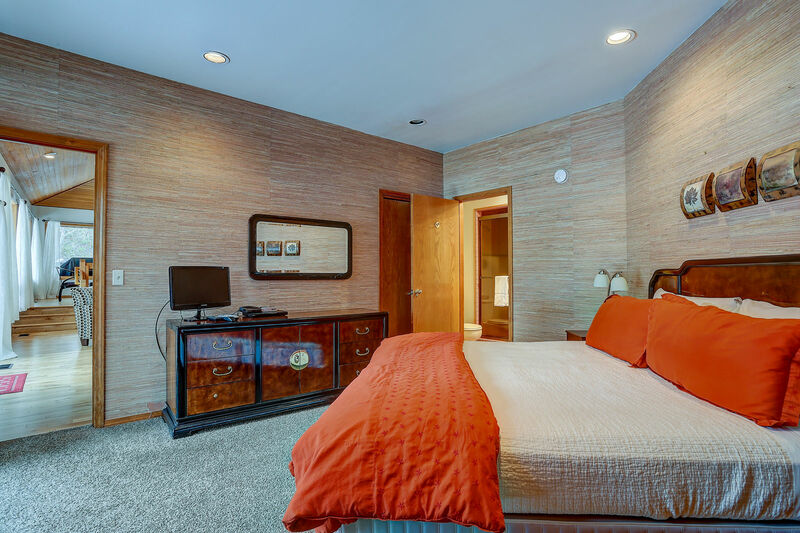 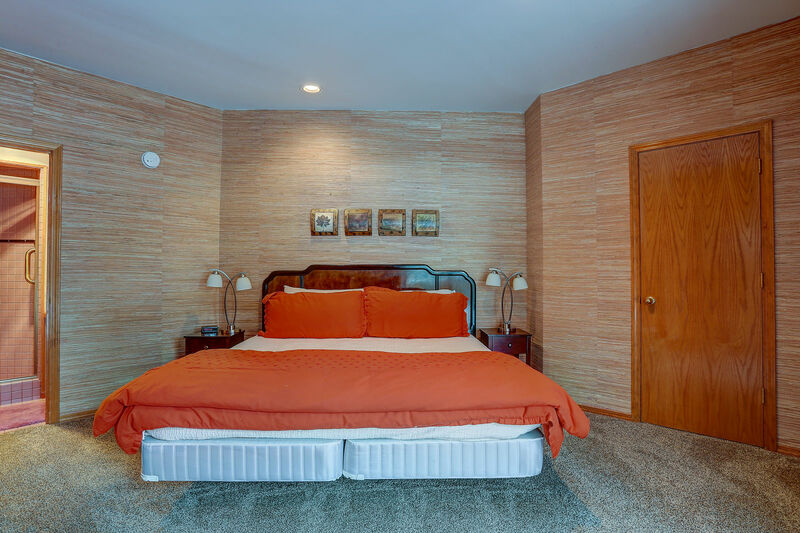 A King Master Bedroom is located upstairs in a unique "open bedroom suite" that is the only upstairs area in the home. 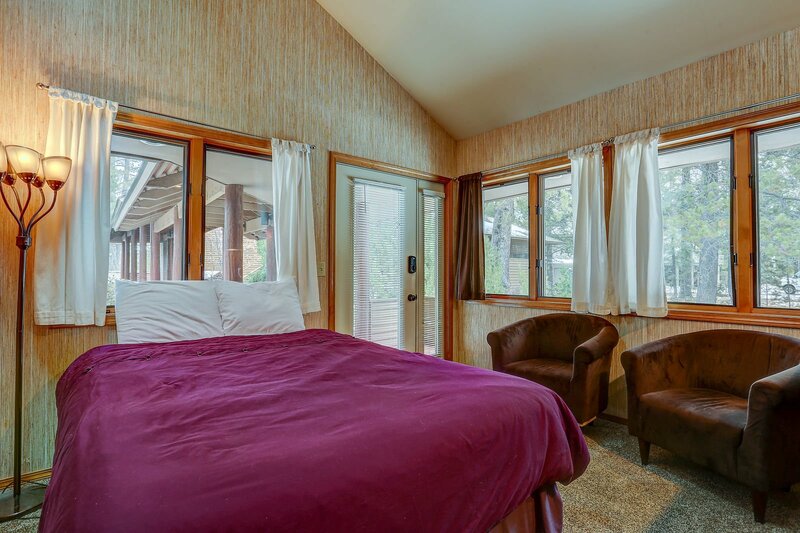 Across the beautiful covered portico is a detached studio guesthouse with queen bed, kitchenette and private bathroom. 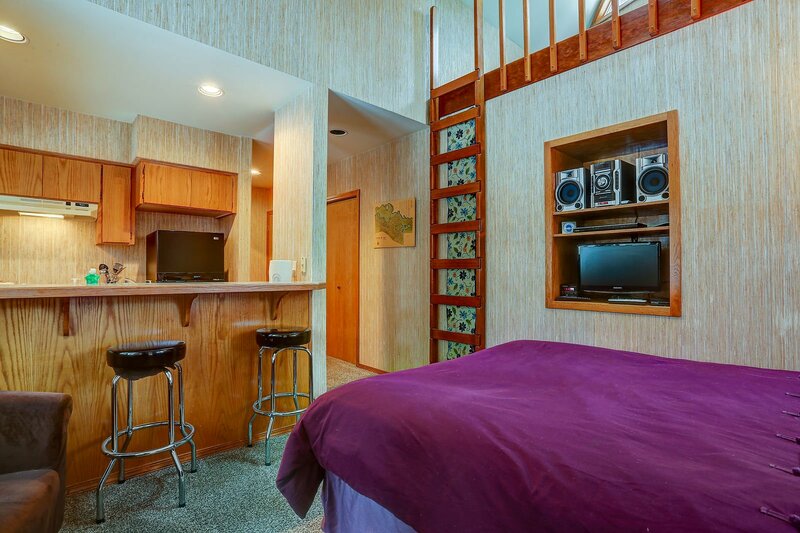 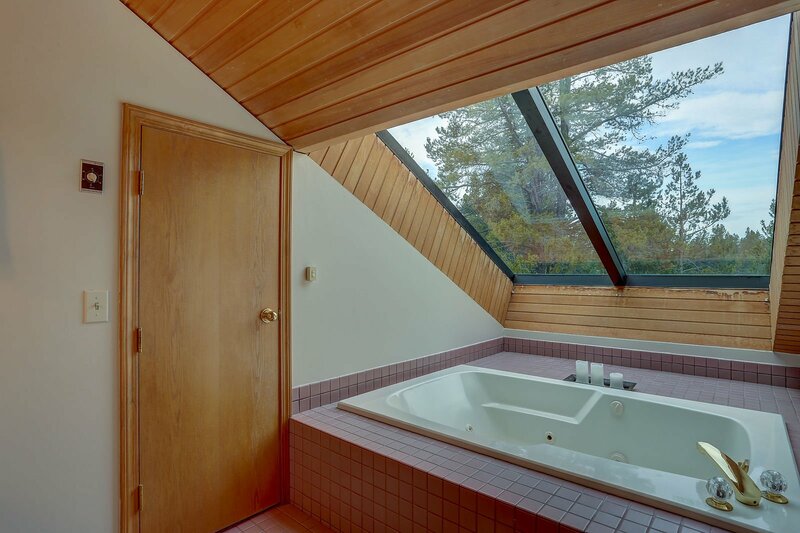 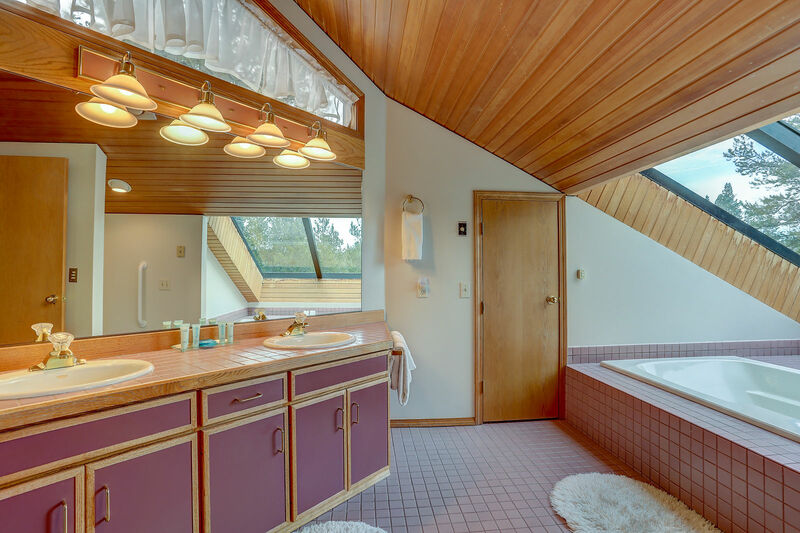 This home has cable and HBO for your viewing pleasure. 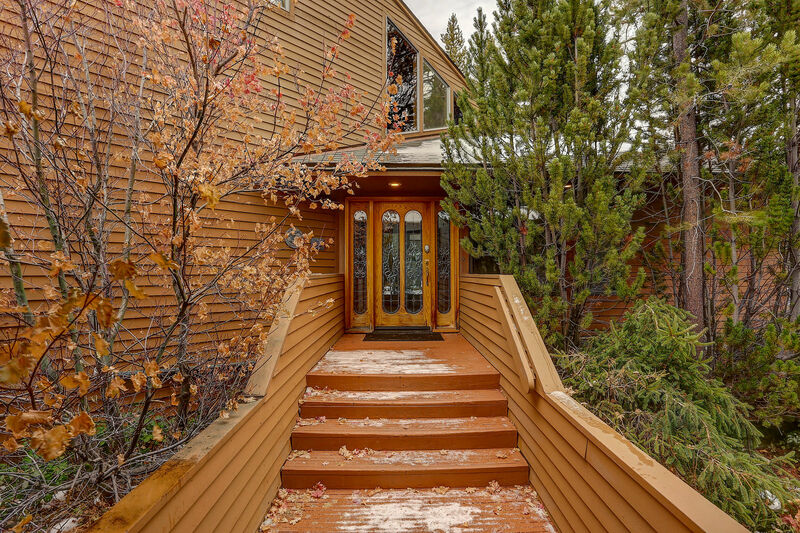 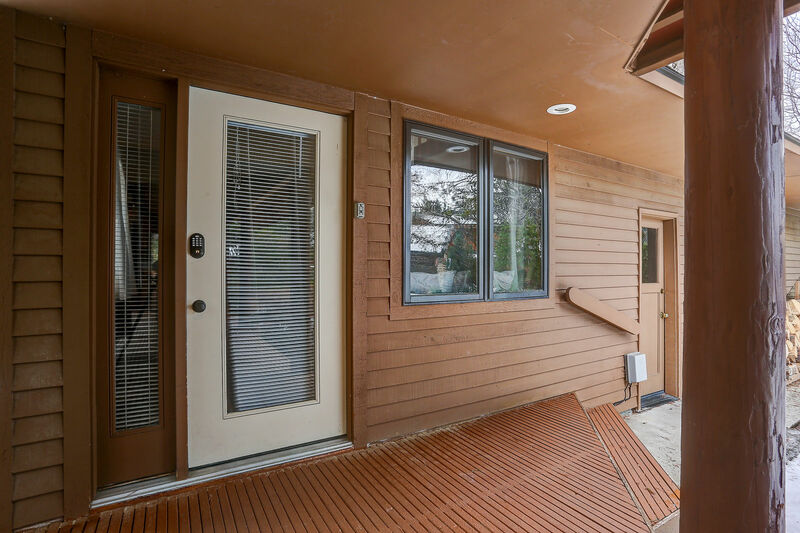 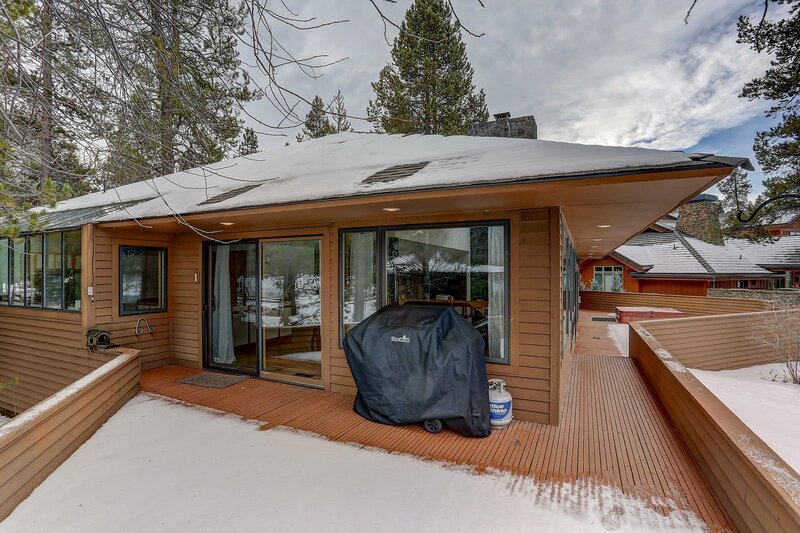 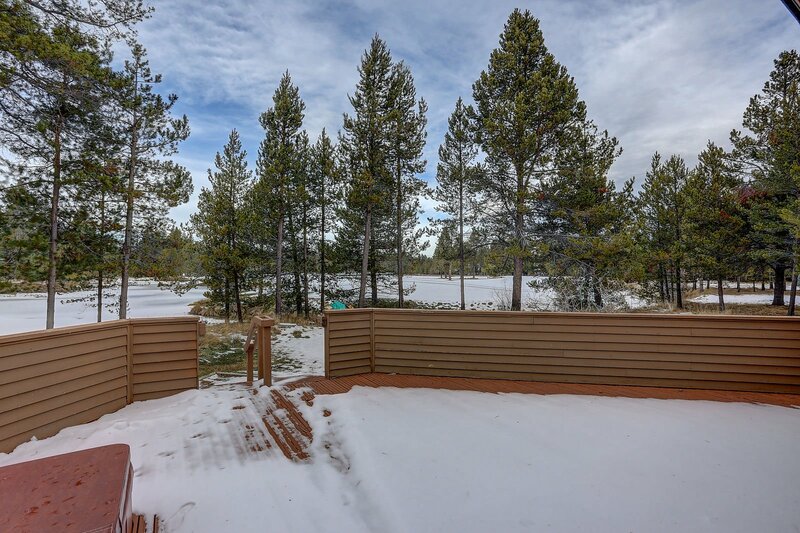 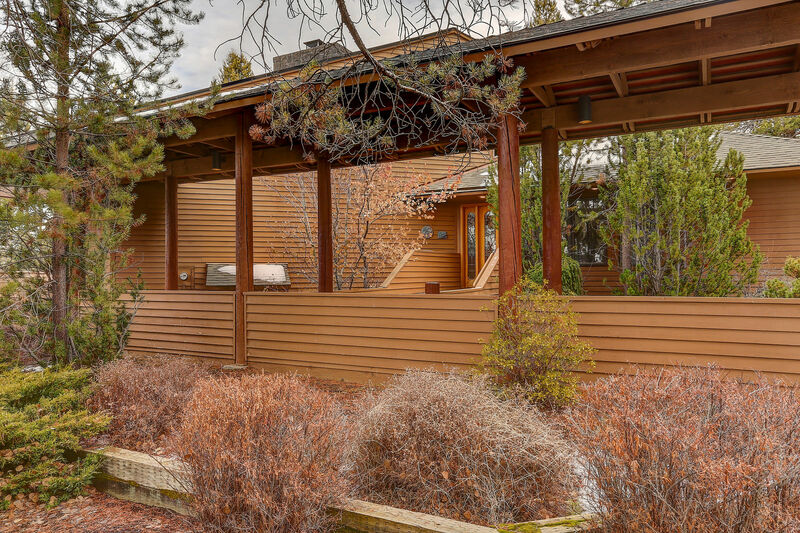 There are beautiful decks and grassy lawns surrounding the house that are ideal for enjoying the fresh mountain air in Sunriver. 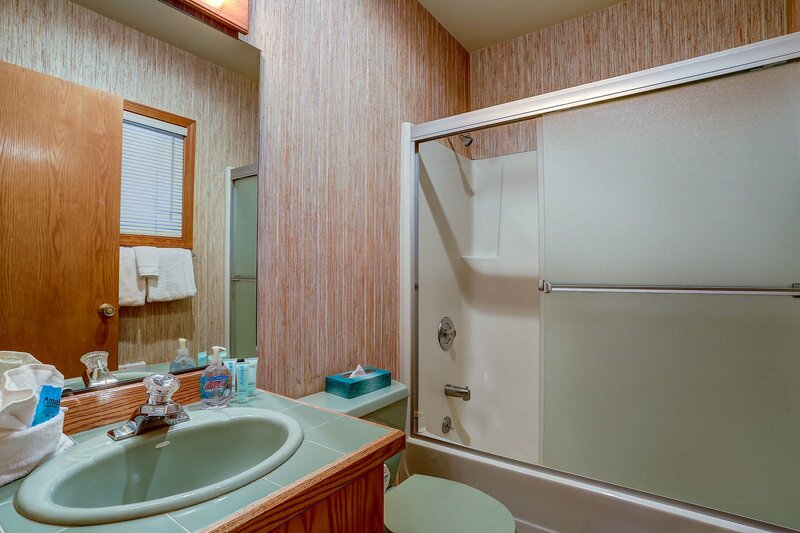 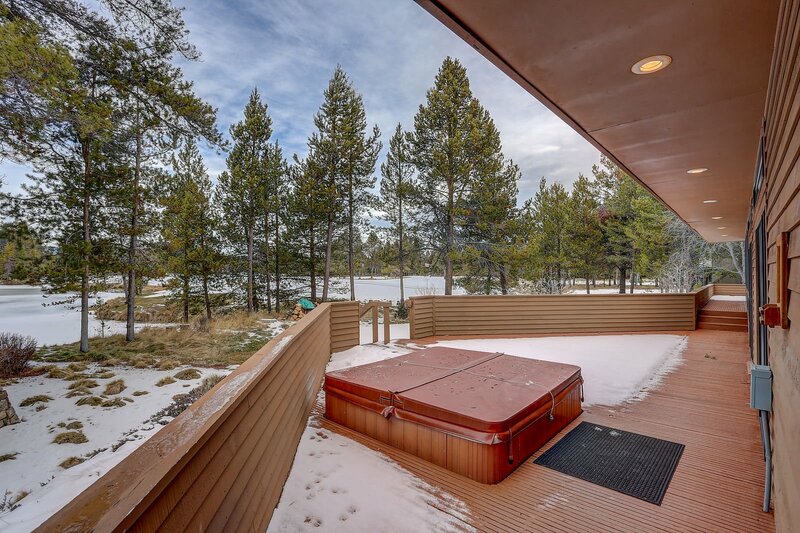 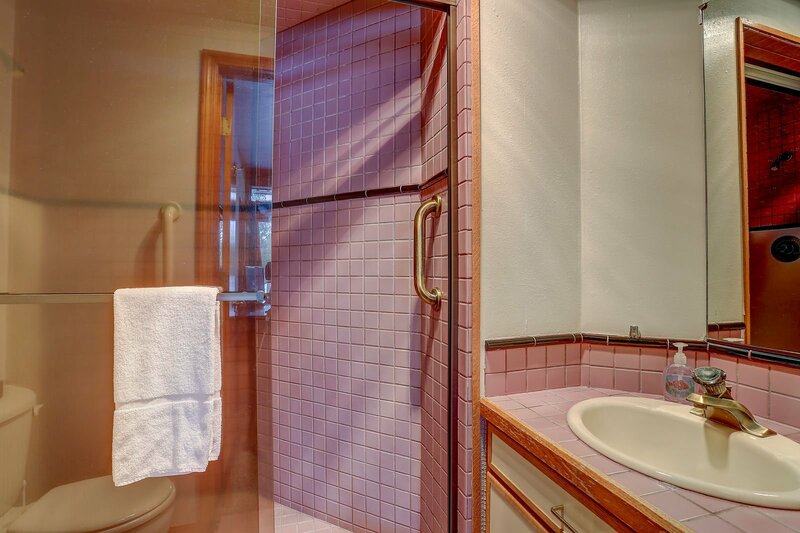 A private hot tub and gas BBQ are both located on the deck overlooking the beautiful views. 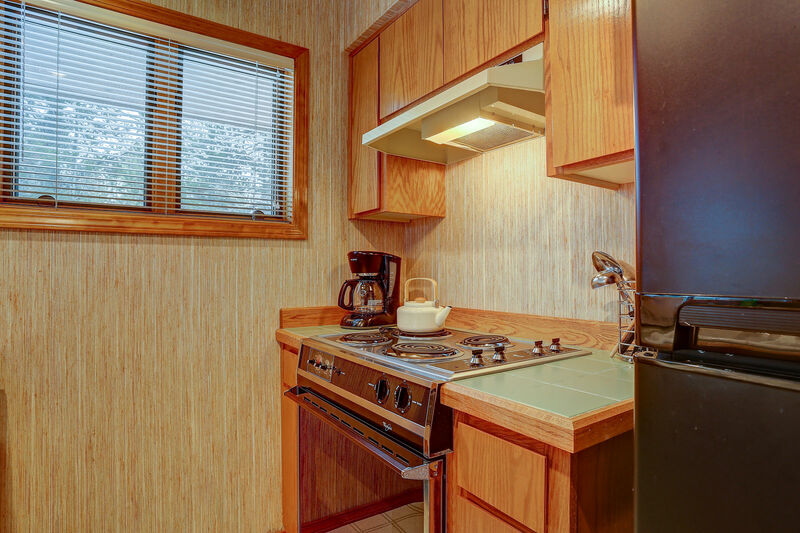 11 Hickory has a fully stocked kitchen with new appliances. 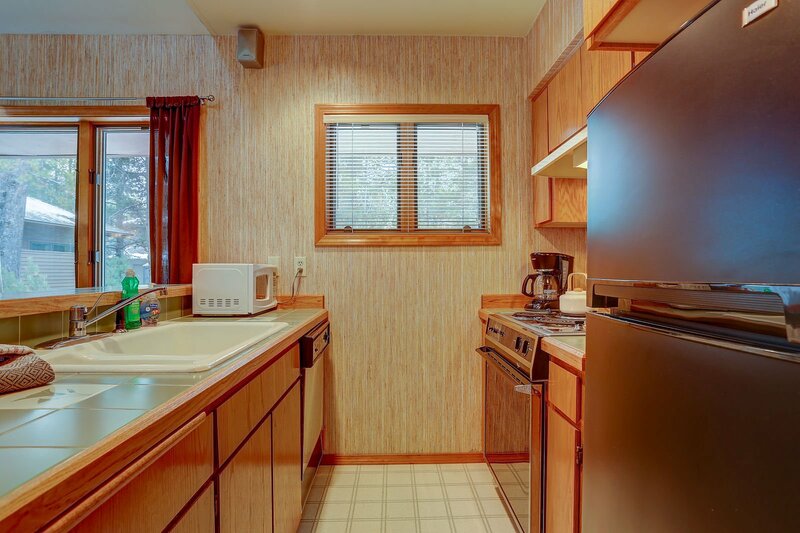 All of the dishes, utensils and tools that you will need to prepare your perfect vacation meals, are available as well. 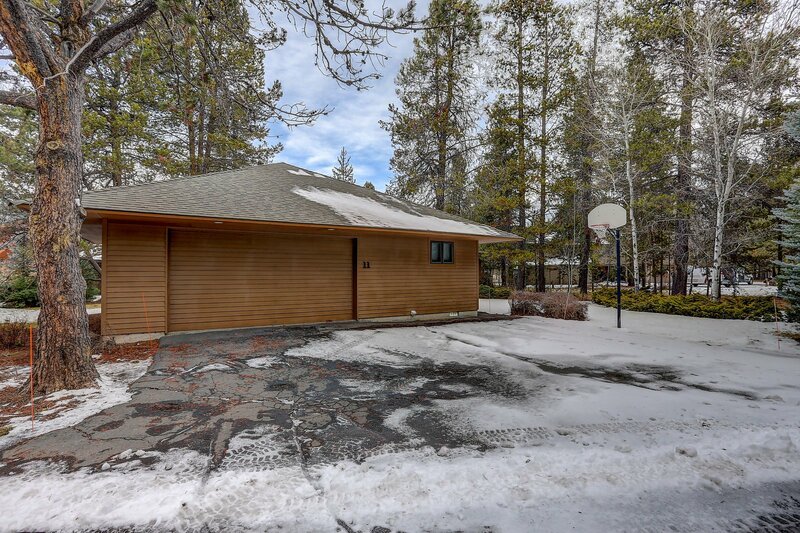 The home has a double garage that is attached to the guest studio. 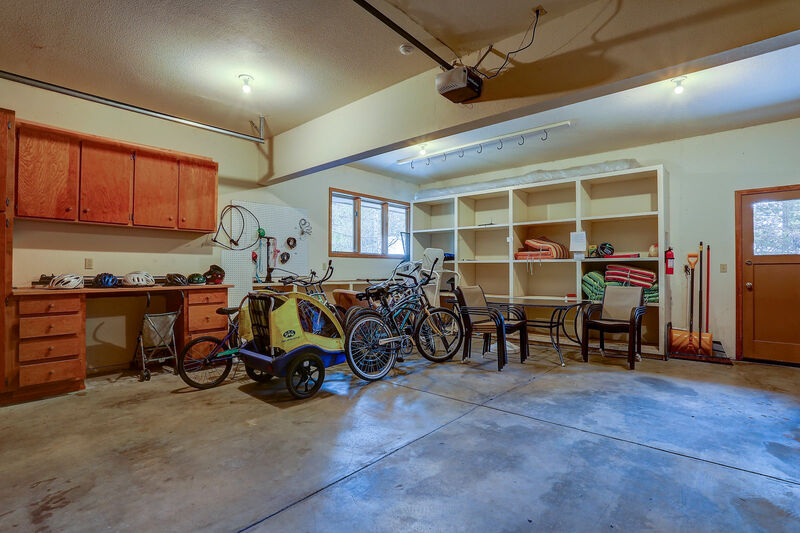 There 6 adult bikes, 1 child bike, and a 2-child bike trailer are kept in the garage for your use. 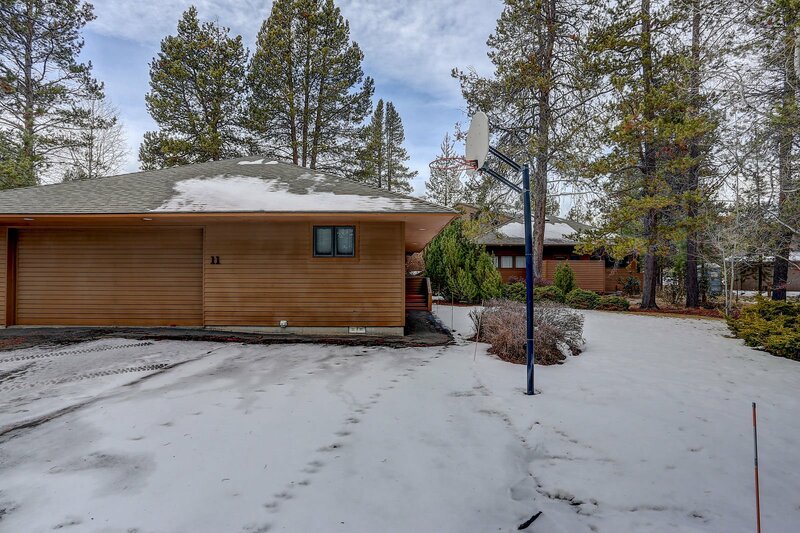 There is a basketball hoop in the driveway. 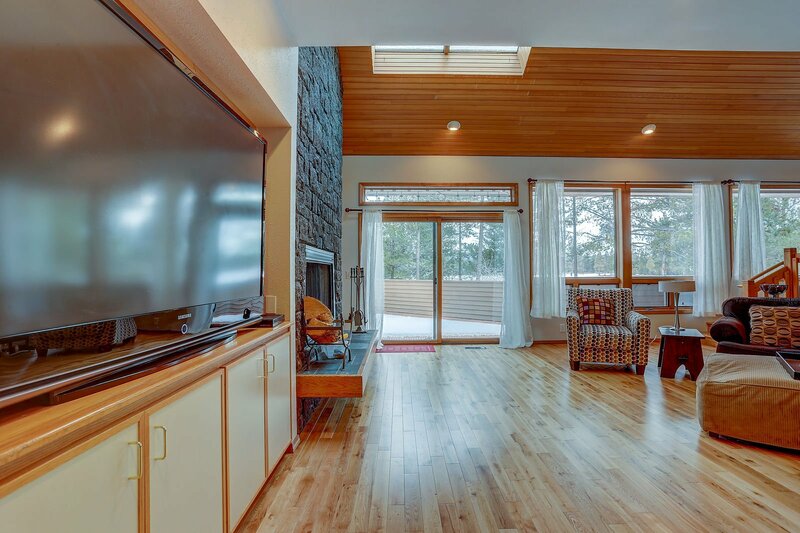 Level 2 EV charger for anyone that has an electric car.